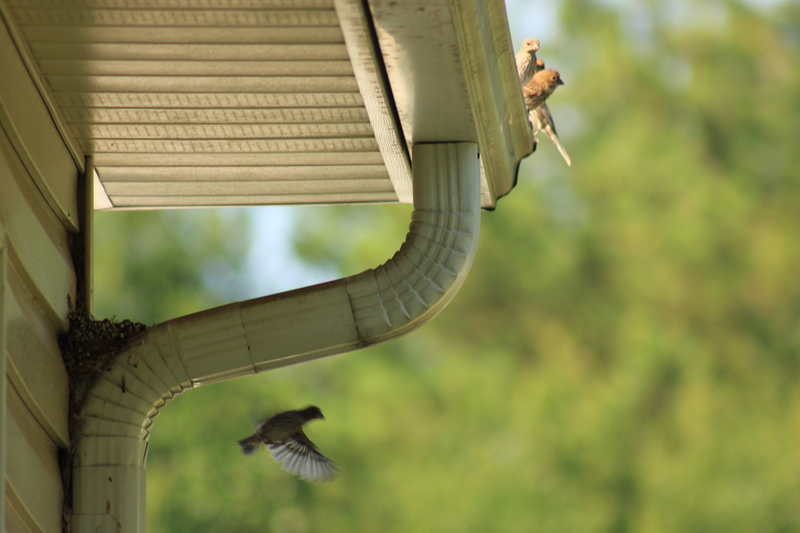 Four birds had left the nest and were flying all around the backyard, but the last little fellow was having a hard time making that first leap of faith. 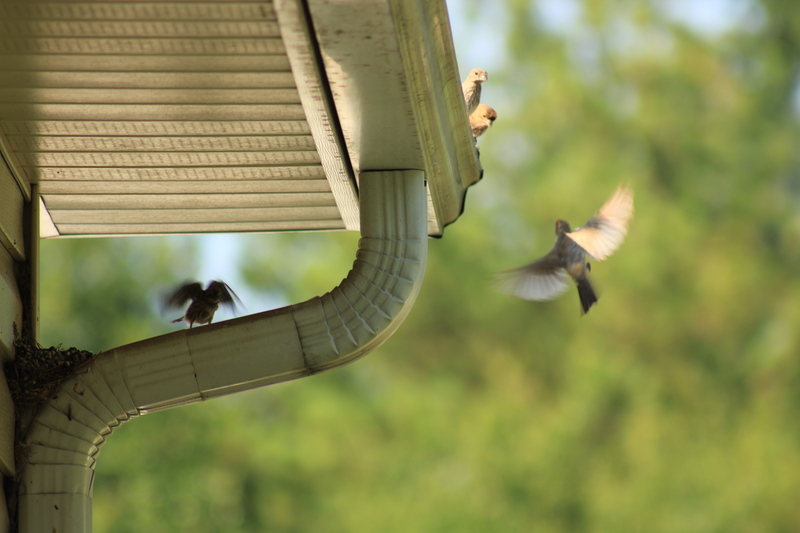 Mama bird made several trips back to the nest trying to encourage her offspring to stretch its wings and soar. 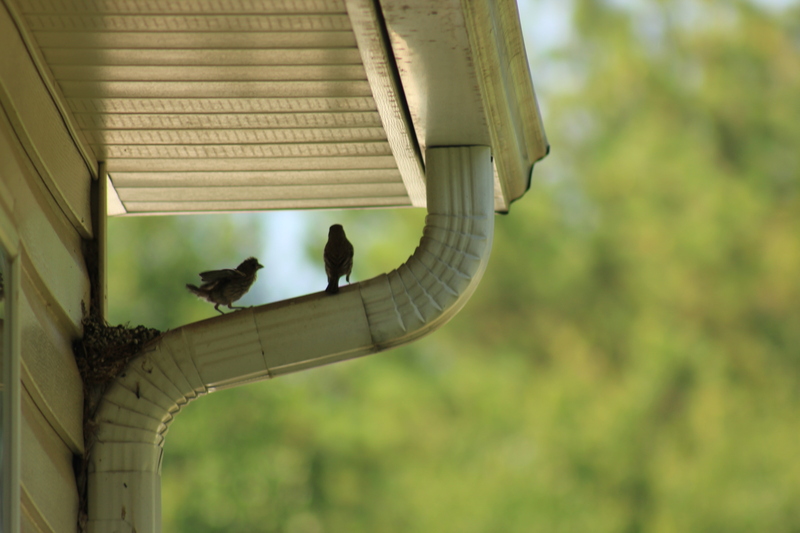 With some of the young bird’s siblings watching from the gutter …. This entry was posted in Birds and tagged Baby Birds, Bird, Birding, First Flight, Photos, Recreation by Mud. Bookmark the permalink.